EL SISTEMA was established 4 decades ago by Maestro José Antonio Abreu. 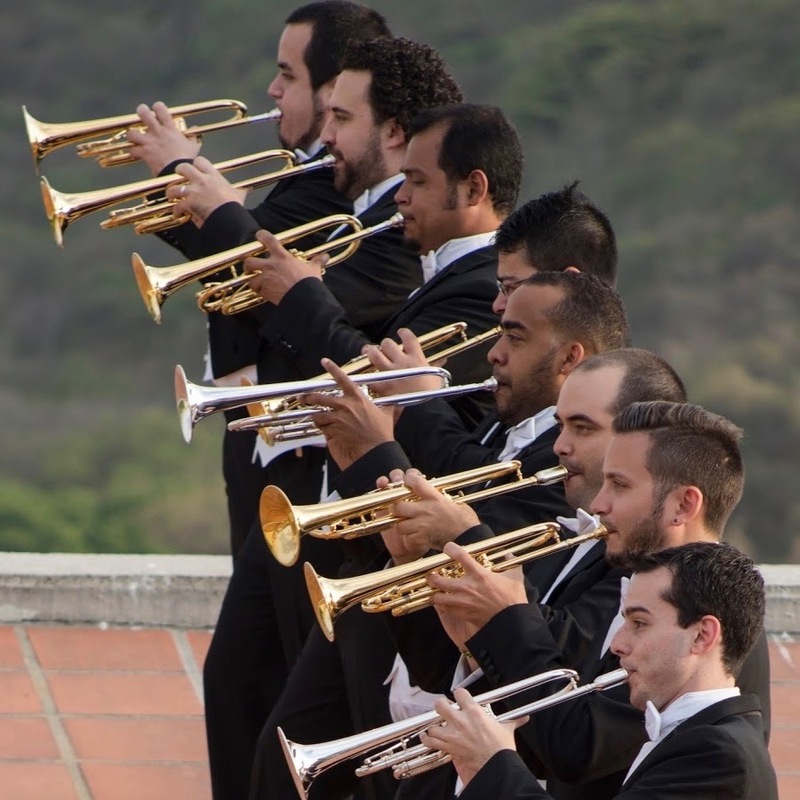 EL Sistema has paved the way for the development and reinforcement of other groups such as the Simón Bolívar Trumpet Ensemble. This collective dream, as well as the idea of being an artistic model through the versatility of the trumpet, was conceived in 2012. 8 trumpet players of the Simón Bolívar Symphony Orchestra of Venezuela conducting by Gustavo Dudamel, have gathered to share the same goal and to achieve excellency in the musical expression.The Simón Bolívar Trumpet Ensemble made its debut with a concert in Caracas, Venezuela in April 2012 as part of the Festival tribute to the French trumpeter Maurice André. Since then, other international stages have welcomed the Ensemble: In May 2012, they played in the Bergen International Festival in Norway; In 2014 they offered incredible performances in prestigious stages in Los Angeles, and also at the music awards ceremony at the Lincoln center in Ny city United States, as well as in Paris, France and in 2015 and 2017 at the first season of La seine Musicale , the new beautiful hall in France , they made performances at Teatro Mayor Julio Mario Santo Domingo and the famous Jorge Eliecer Gaitan in Bogotá, Colombia. the SBTE play at the opening ceremony of the Girolamo Fantini trumpet competition in Roma Italy april 2017.In 2016 more than 1400 peoples attend the concert at the Berlin philarmonie audience and critics were charmed and enthusiasts , in December 2017 thaey made its Greece´s debut at the presitigous Stavros Niarchos Foundation Cultural Center ,The Ensemble has devoted to travel across its homeland, Venezuela, from the very beginning. The concerts offered by this group of musicians are often accompanied with an arduous pedagogical mission, that includes workshops and master classes around the world. SBTE plays on Schagerl rotary trumpets , they are exlcusive Schagerl artist.